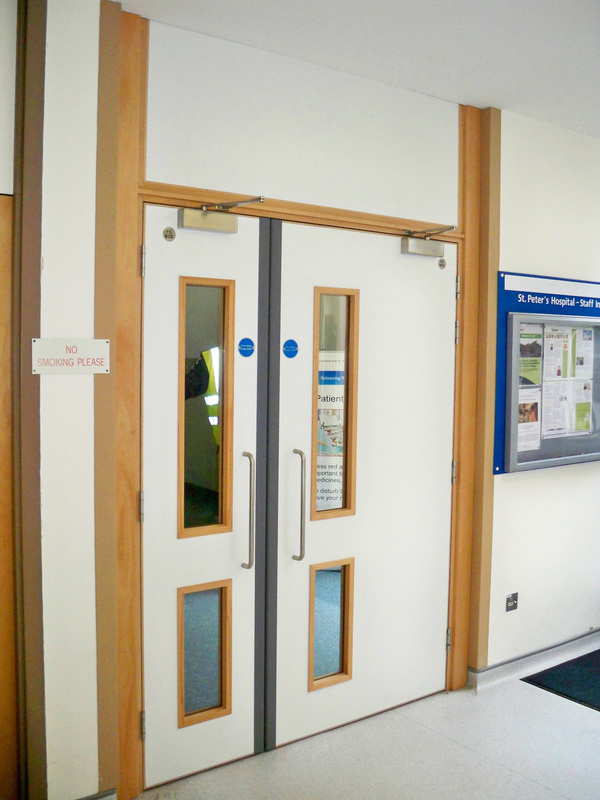 Fire door specification and installation considerations for healthcare estates. 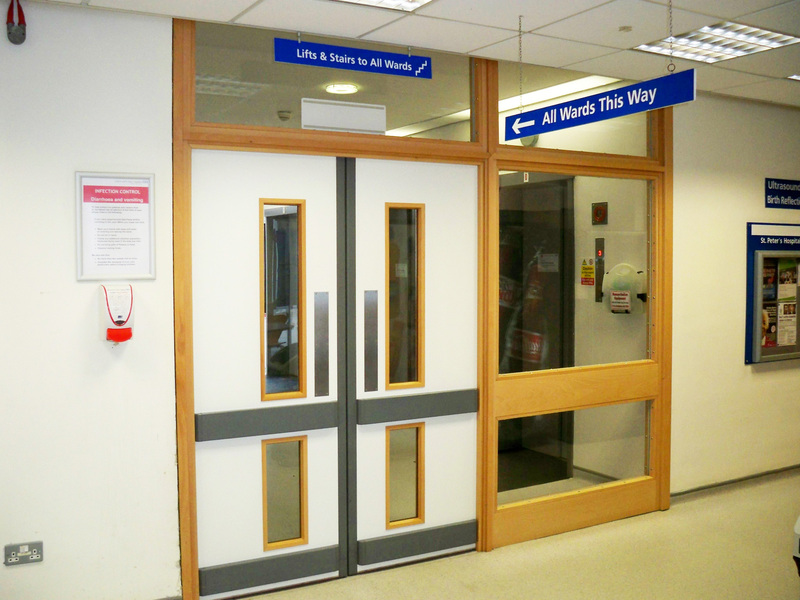 The fire door sets at Ashford and St Peters Hospitals NHS Foundation Trust in Chertsey required replacing as the existing door sets no longer met the fire performance required. The Fire officer had condemned the fire doors, still operational after 40 years. As part of the strategic upgrade to the Trust Estate a capital bid was submitted within the Trust, to fund these works. The key issues for specification of new doors were mainly compliance. Managing fire safety needs to comply with Health Technical Memorandums (HTM58), DH Health Building Notes and, of course, building regulations. 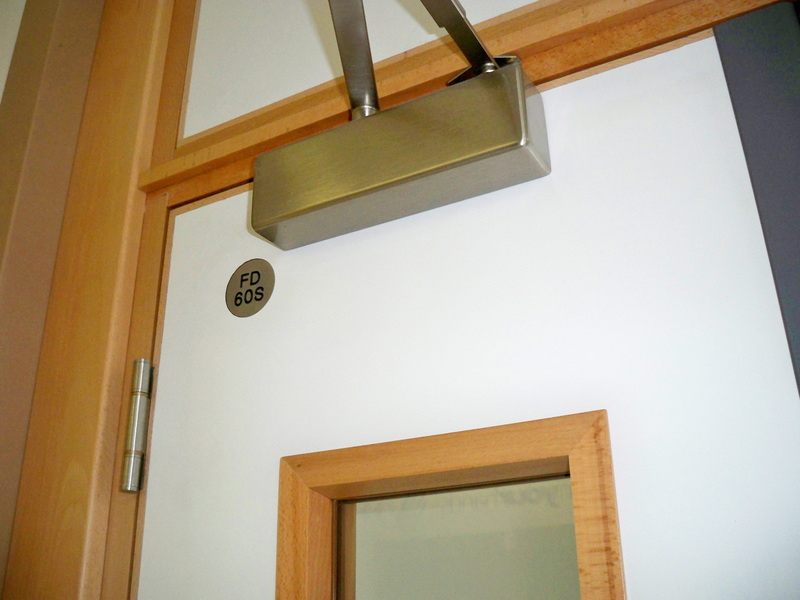 All buildings have fire compartmentation drawings and fire policy documents which both factor in the specification of fire doors for healthcare facilities. 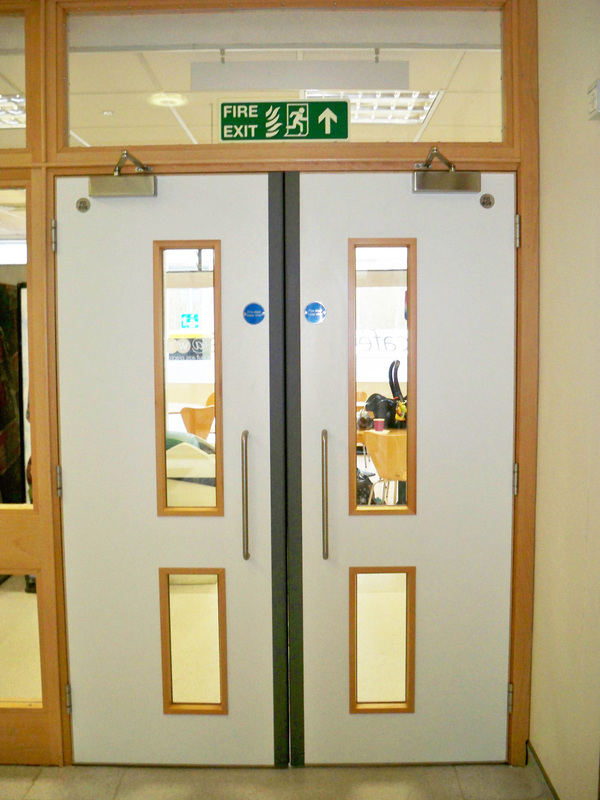 In addition to meeting the requirements of either FD30S or FD60S the manufacturer of the fire doors had to be third party certified under the BM Trada Fire Door Manufacturing Scheme, and the installation also had to be third party certified under the BM Trada Fire Door Installer Scheme. As part of the tender process, research had to be carried out before invitation to tender. Whilst price was important, so was finding a reputable company that was proven in delivering this type of project. There were two phases of work: the first in 2012 and then the remainder to be carried out in 2013, once further funds had been released from the NHS trust. 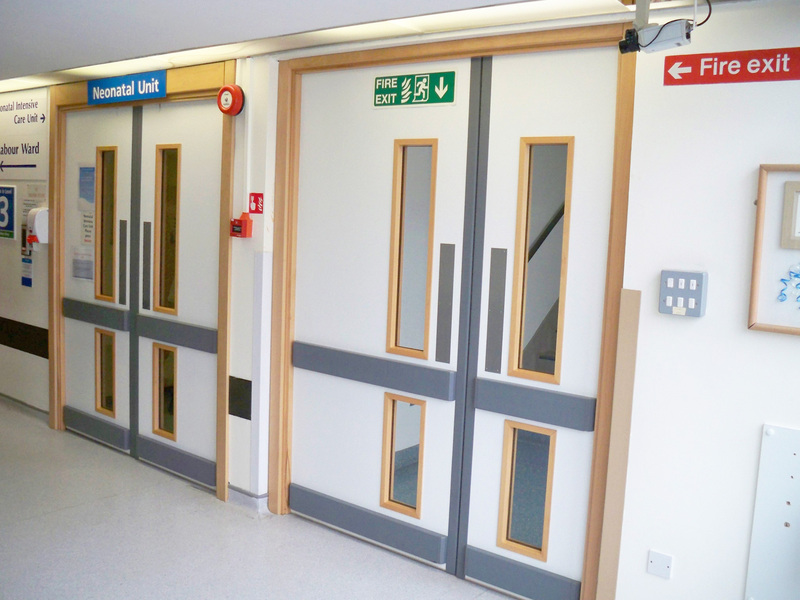 The existing door sets were installed in 1974, so it was important to work with a supplier that could deliver a quality product that would stand the test of time as part of a busy healthcare estate. 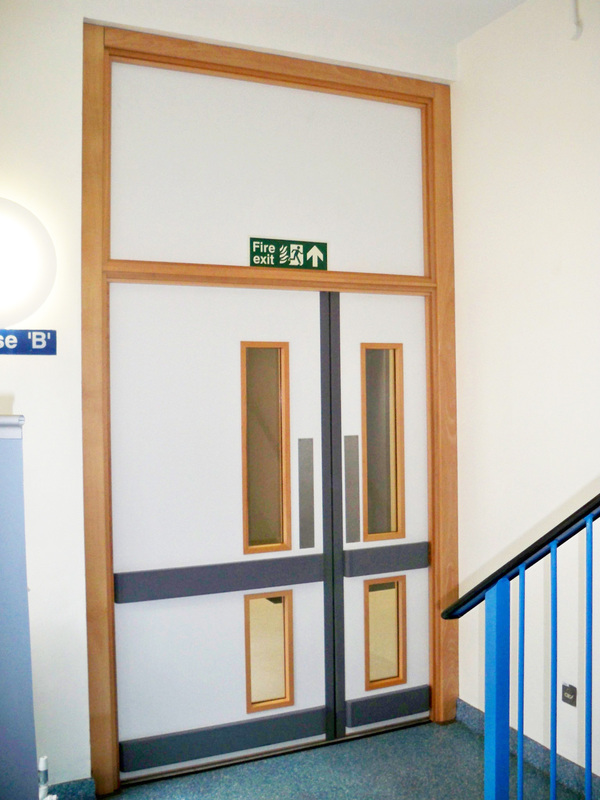 A cost effective tender combined with third party certification for both the manufacture and installation of fire doors, and an excellent reference from a University estates department lead to the appointment of Soundcraft. Sample sections of doorset, and ironmongery helped us understand exactly what we were going to get when the job arrived on site. Each door supplier has different elements to the fire door and it was important to be 100% sure of these before they were installed.